Next row L to R: ?, ?, Hilda, Hedva, Betty, Ann, Leah, Dora, Betty's mother, ?. Front: Hedva's son Ami. Ironically, two days before Heather passed, Danny sent a video of Heather's interview with the Social Sciences department of Ben Gurion University. In it she related Danny's and her experiences when they made Aliyah - especially her struggle with adapting to culture changes and language. It is 30 minutes on length and ends abruptly - meaning that perhaps there is an additional part that may be available in the future. This Tuesday I attended the official opening, in the Old City of Jerusalem, of the Bob Shteinman Plugat Hakotel Museum. It was a moving experience, about 200 people filled the small hall in the Western Wall tunnel, exquisitely carved under the Cardo and an attractive buffet spread was laid out surrounded by colourful posters and TV monitors showing aspects of the museum and covering the ceremony, film and speeches. Neriya Meir, the head of World Betar, presented a film Betar made depicting the story of Plugat Hakotel and also spoke of Bob Shteinman and the contribution of Bob's children to the museum project. President Reuven Rivlin spoke from the heart about his youth in Jerusalem, Betar and Plugat Hakotel and was followed by speeches from Zeev Elkin, Minister for Jerusalem, Mayor Nir Barkat and others. In the 1930's the British mandatory authorities forbad the blowing of the Shofar on Yom Kippur at the western wall, searched everyone approaching the wall and arrested anyone carrying a Shofar. Betar then set up Plugat Hakotel of Betarim to defy the British and, by smuggling and blowing the Shofar at the end of the Neila prayer, show the eternal connection and sovereignty of the Jewish people to the Temple Mount. The ceremony, the film, the speeches and the warm atmosphere provided a fitting and moving experience to the occasion and the opening of a valuable museum in honour of a significant episode in Betar's and Israel's history. Kol Hakavod to World Betar, the Israeli government, the Jerusalem municipality and the Shteinman family for creating the museum and naming it after Bob Shteinman, Mefaked Betar Sydney in the 1950's. In April 1958 their was a hike organized by Betar Sydney to go to Commodore Heights (now West Head) over looking Palm Beach and Pittwater and the Pacific Ocean. It was on this hike that Judy Kovendi (now Bahar) and I met for the first time and we became instant friends and our friendship has blossomed and lasted for the past 60 years. 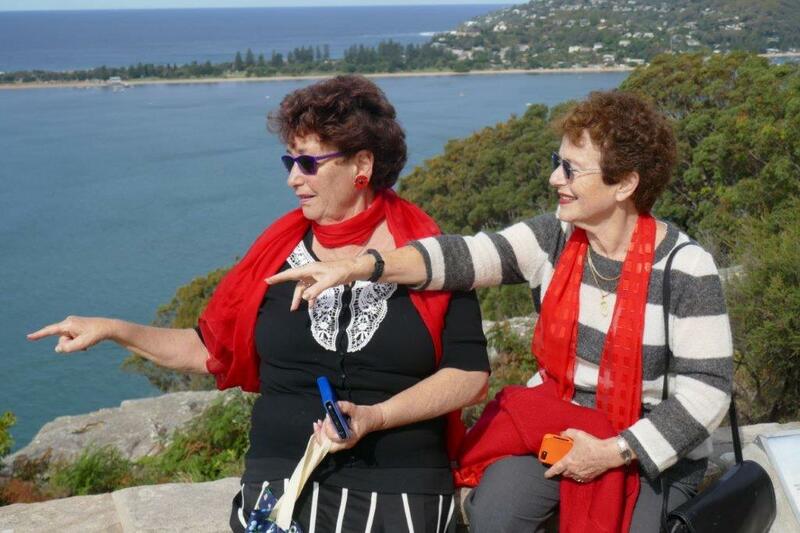 This photo shows us pointing to where we had to climb up from the (Pacific Ocean) shore to the top which took us then young teenagers a considerably shorter time than if we attempted it today, if fact we would not bloody even try. David Ochert was honoured with the Order of Australia (OAM) in the general division in the Australia Day Honours list 2018 "for service to rowing, particuularly as a coach". He has been a rowing coach at Club, State and National levels dating back to 1981. He has competed at all levels of rowing and is a life member of the Toowong Rowing Club. He is also an inductee in the Hall of Fame, Rowing Victoria (2013). Henry and Miriam Briggs came at least twice a year to Israel to visit their children and grandchildren. 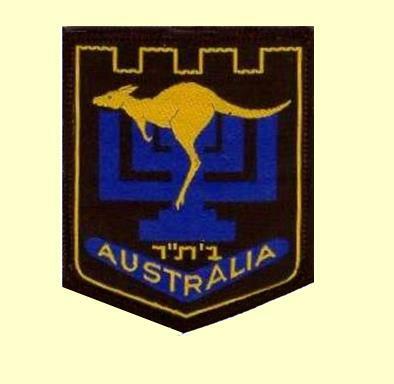 They have 2 kids in Israel and 2 in Sydney and grandchildren mainly here. They bought a house in Raanana and of course when here we met up with them. This November they came again for a special simcha, their first great grandchild was born They left Israel at the end of November 2017 and on the day they arrived home Henry started feeling ill and could not stop vomiting. It took two or three days till he was hospitalized (no beds available in the hospital!!) and he underwent various tests and finally they found that he had pancreatic cancer at quite an advanced stage. Already then they did not give him long to live! 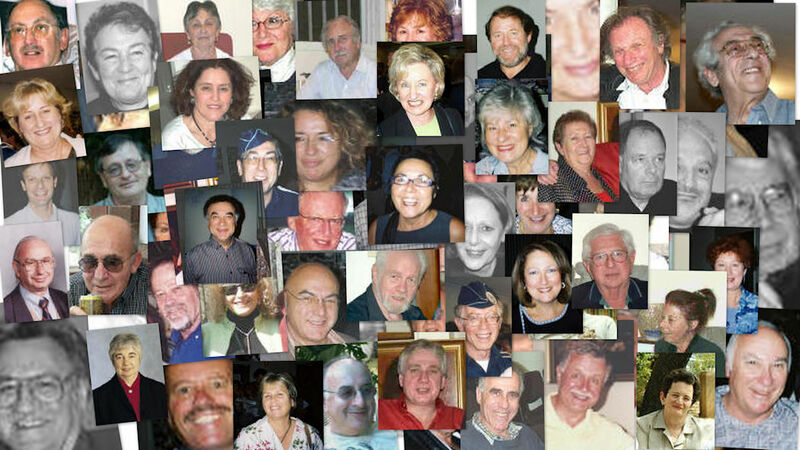 All their family, children, husbands, grandchildren and even their tiny great grandson were flown over from Israel. The last few days of his life he spent at their home with the whole family. A few days before he went they had a special Book Launch at the Sydney Jewish Museum. The Book is an autobiography about his life as a Holocaust survivor and is named TO LIFE L’CHAIM and in it he also writes about being in Betar and quite a long description of what it meant to him. 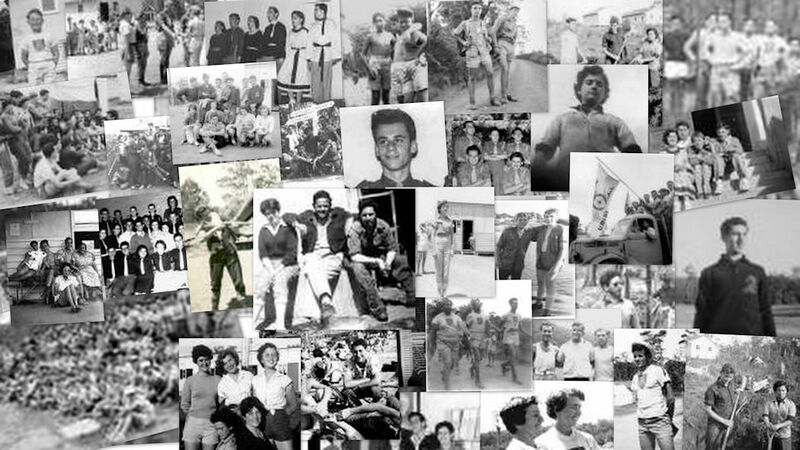 They are all being flown to Israel and he will be buried at the Raanana Cemetery, where on this coming Friday we will be visiting Rosette’s grave for the “shloshim”. From Miriam: From the Australian Jewish News, January 12, 2018 (Aus time), a review of the life and the book written by Henry - "To Life L'Chaim". Condolences shown here. From Jack: "It is my saddest ever duty to inform all our friends that my most cherished and loved girlfriend and bride passed away last night. She was an unusually fine person with an extraordinary love of life and a typically Polish sense of humour. But most of all she loved people and wherever we went made friends leaving a long trail of mourners who will not easily forget her. Everyone wishes that on their death they will leave this earth just a little better for their short visit. Well Rosette achieved that - oodles of it. I on the other hand must confront a very bleak dark hole of loneliness." 2017-03 Major finds of films and videos spanning the early years of Betar Australia. 1989 Betar Reunion in Israel. This has been made possible courtesy of John Ziegler. Harry Stuart is attempting the restoration, which includes titling, identification of Betarim where possible, adding soundtracks to the 8mm films, improving the sound from the videos. Still in progress, the titles above will become clickable links as they become available. 2017-02 Jack Mirjam publishes his life's work in art: "My Life as an Artist"
Jack's talent in painting is well known in Betar circles. However, the volume of his output over the years is astounding. Over the past few months Jack has assembled over 550 paintings and pastels in a wide variety of subjects from the Holocaust to Australian football and aborigines. And his artistic genes have been passed to his daughter Michelle Feder whose partial work has been added to his portfolio. Download the file (Adobe Acrobat) from here. Please note that this file is around 23mb. As of Jan 17, 2018, a Youtube version loaded by Michelle, is also available here. Do you have anything to contribute to this page? If so, click the Add Material button here or when it appears in the top menu of any page. To view, click on a collage below. 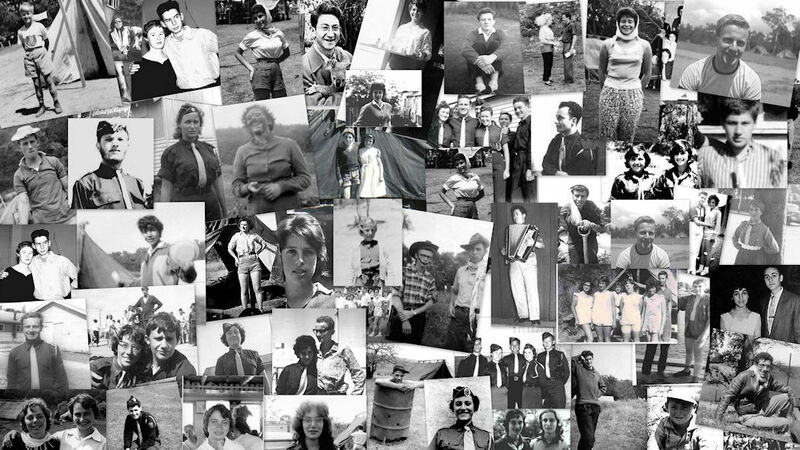 The web site dedicated to the people who established and grew Betar Australia: 1948 - 1965 and beyond. * Sorry to report: Rosette Mirjam passed away on December 13, 2017 in Israel. See article #2017-05. Condolences can be sent to the webmaster and can be read here. "I would like to send a few words of appreciation to all my friends and acquaintances who sent expressions of condolence to me on the passing away of my dear wife Rosette. I was deeply moved by your kind outpouring of emotions that referred to Rosette. * Peter Keeda visits the Jabotinsky Institute to see Betar Australia's collection of documents. * Photo of the late David Mayer found on a restored camp film - from 1954 here. * Yaacov Weissman unleashes 4 oldies... four images where we have almost IDed everyone. * Update: 2017 - Have we changed? Henry Burstyner and Harry Stuart meet again - in New York. See this for updated photograph. * Link to Mevout Betar website for those who are interested - thanks to Vernon Kronenberg for supplying. * Website getting a facelift! (ongoing). * Major discoveries in films and videos from 1954, 1962 and 1989 - see article #2017-03. * Jack Mirjam publishes his life's work - see article #2017-02. * Hedva's vault: six images from years gone by just discovered. Can be seen here. * Larry & Magda Sitsky in Israel. They were feted at Danny & Heather's home. Images forwarded by Hedva Sheiner and can be viewed here. * A treasure trove from Vicki Israel (Zack). See article #2017-04. * A couple of new images of Vicki Israel - submitted by Liz Kornhaber (photos #56 & #57) - here and name corrections to #25. * Article on Moshe Bush can be seen here. (Submitted by Aaron Ninedek). * Ed Adamek posts a 'new' old photo from 1967 here. 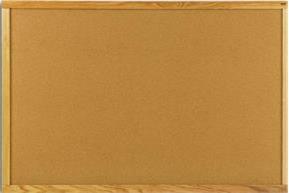 * Larry Sitsky awarded an Officer in the General Division of the Order of Australia. See article #2017-01. * New video published: 'Time warp? Phone call to the next century' took place during the 15 hours that separated Harry Stuart from Betar Melbourne New Years party participants - Dec. 31 1999 and Jan 1, 2000. 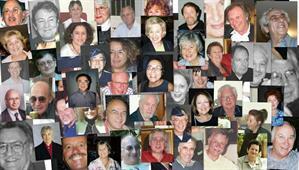 * Heather Rosing's obituary has been published by the Australian Jewish News, Sydney edition. You can read it here. 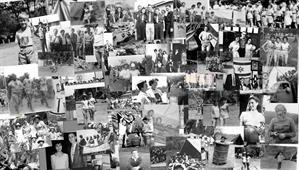 In 1989, the Australian Betar community held a reunion on June 29. The raw video, which has existed now for 30 years, was edited and is presented in two parts: 1: The Interviews of Betarim and Schlichim by Jack Mirjam and 2: The Speeches, by Theo Balberyszski, Yosef Steiner and the Rosh Hanagah Olamit of Betar. Several videos taken by Harry Stuart during his and Elaine's visit to Melbourne in 1998 and 2000 have also been posted to the site. Please visit the new Video Launch page to select and view them. There is a Video navigation button at the top of every page. In the years of 2008/09, a few of us contributed material toward the thesis presented by Jonathan Ari Lander as part of his PhD in Philosophy in History. 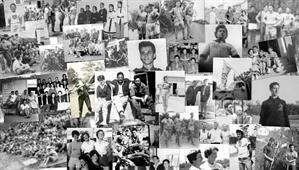 Entitled "From Zionism to Diaspora-Zionism: The History of the Zionist Youth Movements in Australia", it can be accessed here. Some 373 pages in length, downloading and finding occurences of 'Betar' or checking the acknowledgements on page v11 and starting p 351 may be a start. Most of the Betar-related information originated from the collections on this site. A few of Shula Endrey-Walder's camp photos, forwarded by Dov Rosenfeld, can be seen here. Identification of the many unknowns is invited. Shula Endrey-Walder's obituary has been published in the Australian Jewish News (forwarded by Aaron Ninedek). It can be seen here. Condolences can ve viewed here. See article 2019-01 to see references to a late video of Heather describing her Aliyah experience. See also Heather's contribution to the Where we are Now section. In great sadness we inform you that Heather Rosing (Cohen) passed away Sunday evening. 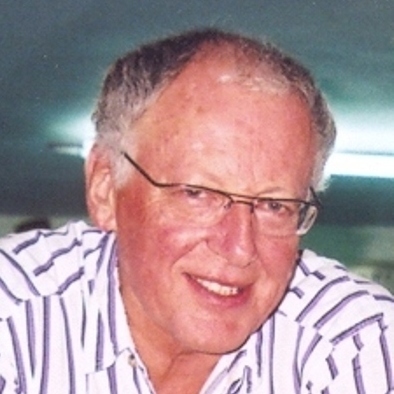 The funeral will take place on Wed. 30th of January at 12:30 at the Yarkon Cemetery Petah Tikva, Shaar Hessed. We shall be sitting shiva at 22 Hazamir St. Kiryat Ono, apartment 11 (third floor), from 10am to 9pm, and rise from the shiva on Tue morning 5th of February. Condolences can be sent to the webmaster. They will appear here. We are sad to report that Shula Endrey-Walder OAM passed away on Thursday 24th January 2019 in Sydney in the presence of her husband Peter, children Eva Novy and Ronny Endrey-Walder, and her brother Dov Rosenfeld, after a brief illness. Forever in our hearts. - Dov Rosenfeld. Shula's recorded eulogy, given by longtime friend Rabbi Dovid Slavin, can be played from here. Condolences can be sent to the webmaster. * From 'unknown' to 'known': The final two unknowns in rowboat picture have been identified by Keith Masnick and Les Berger. Look for the rowboat image (2nd from the left) in the "2017 - Yaacov Weissman unleashes 4 oldies" article here. The leftmost and rightmost Betarim are the ones whose names have been found in the obscure reaches of our brains. * From Peter Keeda - the breakfast meeting of the "Rose Bay Chasmonaim" breakfast club on December 12. (They wish they were of Chasmonaim age.) The image and its members can be seen here. * Shloshim eulogy for Frank Stein - who passed away in 2009. Thanks to Peter Singer, a lifelong friend with Frank, for submitting a very insightful eulogy which spells out for many of us the Frank we did not know about. Eulogy is published here. * Welcome gathering at Ros. & Henry Ben Ezra's home in Netanya. It was a welcome for Miriam Briggs who has decided to make Israel her permanent home. See the images here. * Danny Rosing reports on the opening of the Bob Shteinman Plugat Hakotel Museum in the Old City of Jeruisalem. Article and photograph here. See article #2018-04. * Sixty year friends. Liz Kornhaber reminisces about her friendship with Judy Behar (Kovendi). See article #2018-03. * David Ochert honoured with an OAM. See Article #2018-02. 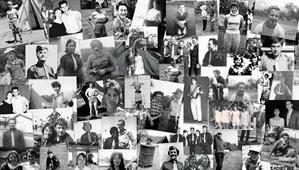 * Latest restored video from Kinglake West 1959-60 released. See article #2017-03. * Some photos from Sam Offman: Thanks to Rose Offman for forwarding materials that have been kept in cold storage, some for 60 years. See the collection here. * Sorry to report: Henry Briggs passed away today, January 10th 2018 in Sydney. See article #2018-01.